West Sacramento, Calif. — Stanley Keasling, Rural Community Assistance Corporation’s (RCAC) Chief Executive Officer, will retire at the end of 2019. Keasling was just the second CEO in RCAC’s 40-year history. He joined the organization in 2008. “The Board is grateful for all of Stan’s contributions over the years to RCAC’s current and future success. During his tenure, RCAC grew from 108 staff to 145 staff and revenues grew from $13.3 million to $18.7 million; and RCAC is financially very strong with total assets of more than $100 million and net assets over $42 million. Groundbreaking new initiatives including Agua4All, Development Solutions, Building Rural Economies and the Tribal Housing Academy were launched under Mr. Keasling’s leadership, which solidified RCAC’s reputation as a national leader for rural community development,” said RCAC Board Chair Nalani Fujimori Kaina. RCAC’s Board of Directors retained Raffa-Marcum’s Nonprofit Social Sector Group to search for a new chief executive officer to advance RCAC’s mission and strategic priorities. “As the Board seeks his replacement, it will work collaboratively with staff and numerous community stakeholders. The search firm will conduct a national search to attract a diverse pool of highly qualified candidates,” said Board Chair Nalani Fujimori Kaina. 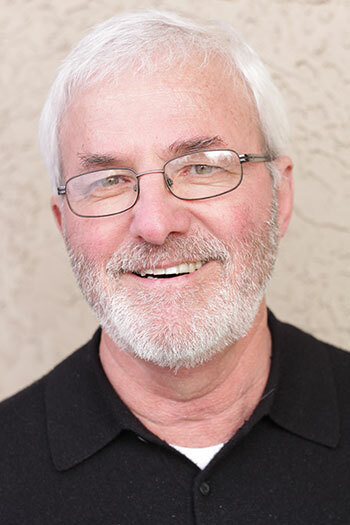 Mr. Keasling has more than 40 years of experience in affordable housing and community development. He began his community development work as a VISTA volunteer with Self-Help Enterprises (SHE) and continued to work in the field for his entire career. “I am extremely proud of all we have accomplished at RCAC during the past 11 years, but it is time for someone new to move the organization forward. It has been an honor to lead RCAC, and I look forward to my last assignment: sharing what I have learned with the new CEO,” Keasling said. Founded in 1978, RCAC provides training, technical and financial resources and advocacy so rural communities can achieve their goals and visions. RCAC serves rural communities in 13 western states and western Pacific islands. Services are available to communities with populations of fewer than 50,000, other nonprofit groups, Tribal organizations, farmworkers, colonias and other specific populations. RCAC staff provides direct services in three program areas: affordable housing, environmental services, and lending.